Canada’s majority holding Conservatives are threatening to flex their political muscles again by changing the Canadian flag. They hark back to the development of our current flag. Originally the two bars of red on the Canadian flag were going to be bars of blue to represent that Canada went from sea to sea or from the Atlantic Ocean to the Pacific Ocean. The Conservatives have jealously kept a large presence up in northern Canada throughout Harper’s reign. They want to represent that by having the new flag show surrounding bars of blue representing Canada as being from sea to sea to C. That new flag design is shown below. Interestingly enough, the Conservative party symbol is a blue C with a red maple leaf in the centre. 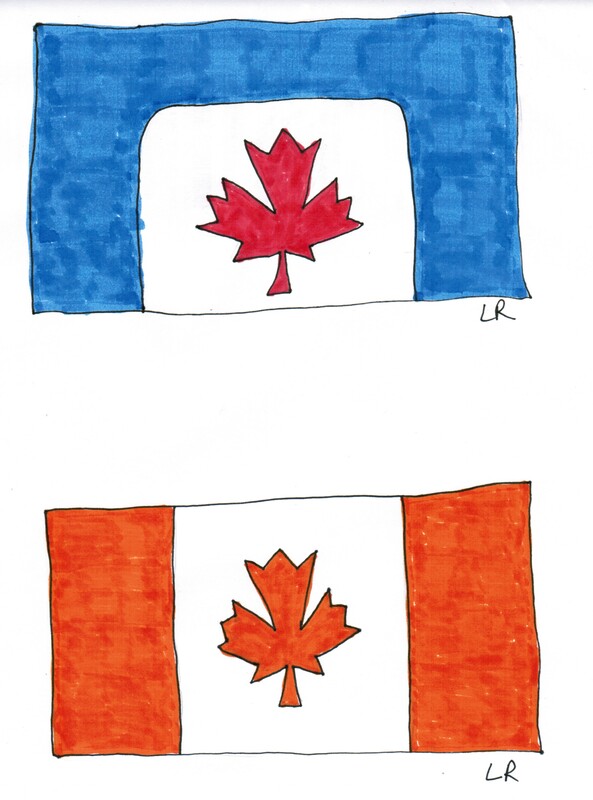 Instead of fighting this party centric flag, the official opposition NDP have chosen to remind Canadians that orange maple leafs are just as common as red maple leafs. If we elect them into government we will have the same flag only it will be orange and white (as shown above) instead of red and white. This entry was posted in Geography, Humour, Politics and tagged Arctic Ocean, Atlantic Ocean, bars, C, Canada, conservative colours, conservative symbol, Conservatives, Liberal colours, maple leaf, NDP, NDP colours, Pacific Ocean, sea to sea, sea to sea to sea. Bookmark the permalink.